I got the original version when it game out in 1986. By the way another old novel (1983) featuring chess play, Walter Tevis's The Queens Gambit', is being published on Kindle next April and used copies are available on Amazon. I recently reread it it having forgotten most of the detail in the intervening years. I think it is probably the best so far in this sub genre. 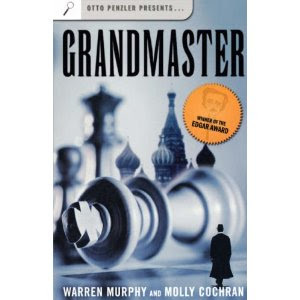 I prefer it to both Nabakov's and Kraai's excellent efforts particularly in the ways it describes the preparation for competition and the struggles on the chess board.